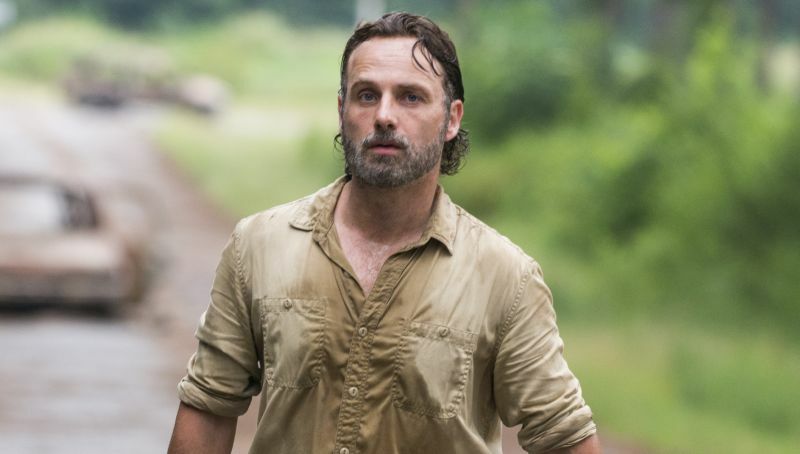 Collider reports that The Walking Dead’s Andrew Lincoln (Rick Grimes) will be the next major character to say goodbye to AMC’s hit drama series, The Walking Dead, during its ninth season. Since its publication, Comic Book and TheWrap have debuted their own reports on the matter. The outlet also notes that they’ve heard AMC has “offered substantial compensation” to Norman Reedus, who plays fan favorite Daryl Dixon, to stay on board and possibly take over as the lead if Lincoln does exit the series. The news comes after the major loss of Chandler Riggs aka Carl Grimes last season and follows the recent news that star Lauren Cohan, who plays Maggie Rhee, will be returning for the ninth season despite having joined the ABC pilot Whiskey Cavalier. Collider reports that Lincoln and Cohan are both supposedly only confirmed for six episodes in the next season of AMC’s comic book adaptation. AMC has yet to confirm if The Walking Dead season 9 — which began filming earlier this month — will serve as Lincoln’s final season. What do you think, Walking Dead fans? Can the show survive without its lead? What would the future of the show look like without Rick Grimes? Share your thoughts with us in the comments below!